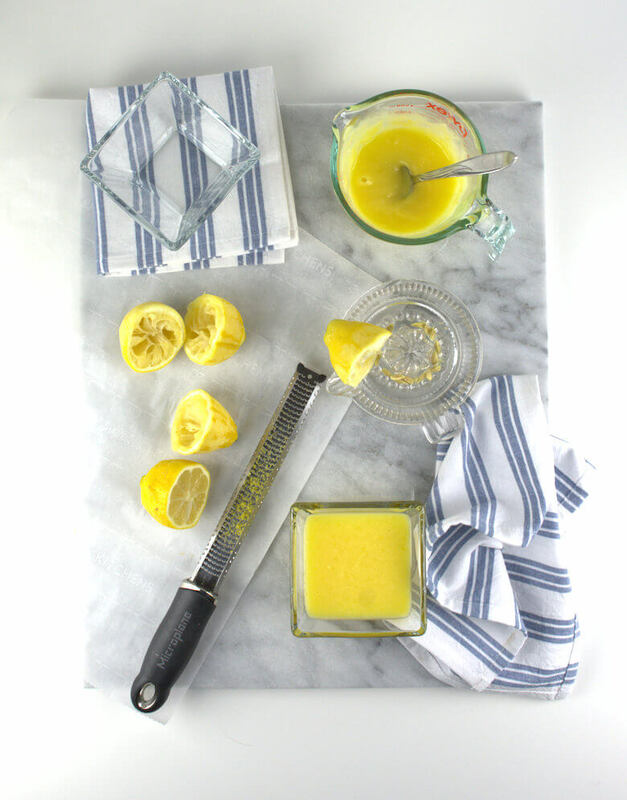 The color of lemon curd is so inspiring; it will brighten up your day. Just 5 ingredients and a little patience and you’ll have a lovely Lemon Curd Dessert with Berries. When I was thinking about making lemon curd, all sorts of recipes in which I could use the lemon curd came to mind and I am sure that those recipes will see that light of day some time. There must be something with the color of yellow. I am not a big fan of yellow; there is nothing in our house that’s yellow, I don’t have yellow dresses, blouses, slacks, shirts. Oh wait a minute, I do have a pale yellow dress, but I rarely wear it. 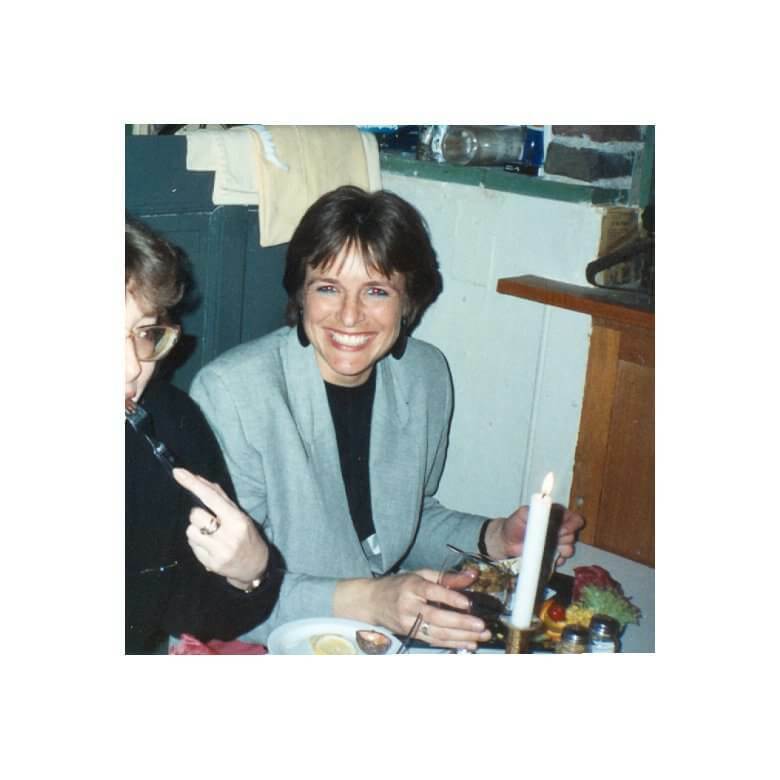 Always feel that everybody will say; there she goes again in her yellow dress. Five ingredients is all you need to make a classic Lemon Curd. 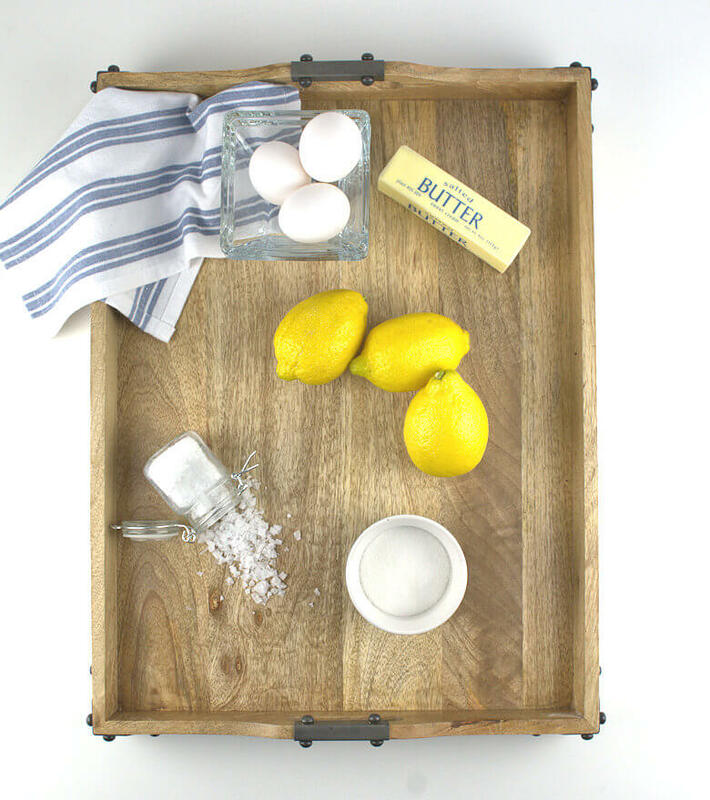 Lemons, eggs, butter, sugar and salt. For my Lemon Curd Dessert with Berries, you will obviously need berries, and mascarpone. It’s a really easy recipe and your patience is called for just 15 minutes; 15 minutes of stirring the pot. Zest and squeeze the lemons. Mix the zest with the sugar, add soft butter and mix until fragrant. Add the lemon juice and the egg, one at a time. The end result looks rather curdled. That’s because the butter does not mix well, but this will disappear as soon as the mixture is heated. Transfer the mixture into a saucepan with a thick bottom and slowly warm the mixture. Do not boil, keep on low-medium heat and stir, constantly. You will feel the mixture thicken after about 10 minutes. All is fine when the temperature is 170 degrees F (this is important because you have raw eggs in the mix) and the lemon cured leaves a path on the back of a spoon. Total time 15 minutes. Transfer the mixture into a bowl or jar, cover it with plastic wrap and cool it to room temperature and then place it in the refrigerator. The plastic wrap needs to be directly on the curd; this prevents a skin from forming. 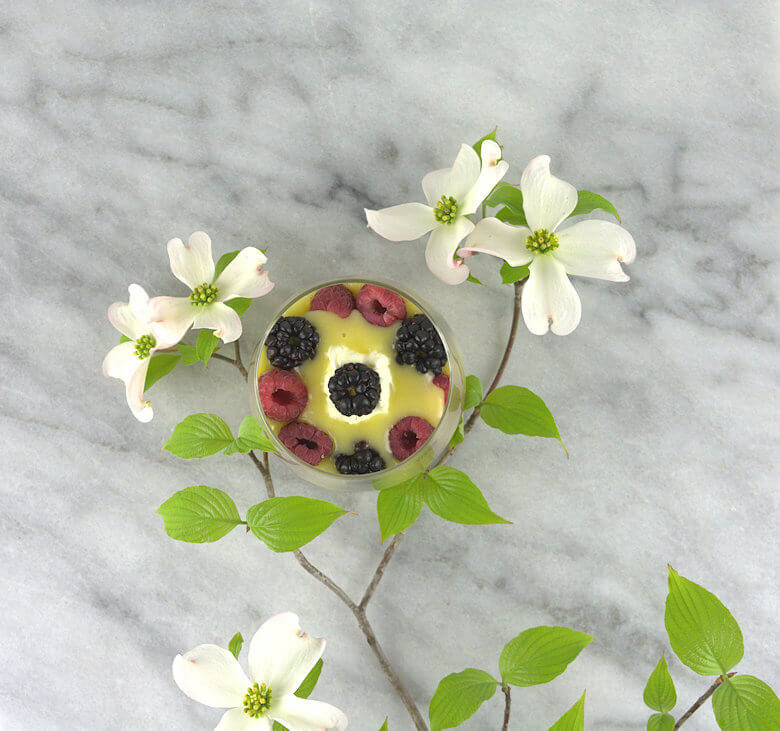 The flower in the picture is from a Dogwood. One of the signs of spring here in the South. An absolutely stunning, delicate shrub or small tree; the most widely planted ornamental trees in Georgia. We have a few in the woods behind our house; gorgeous. 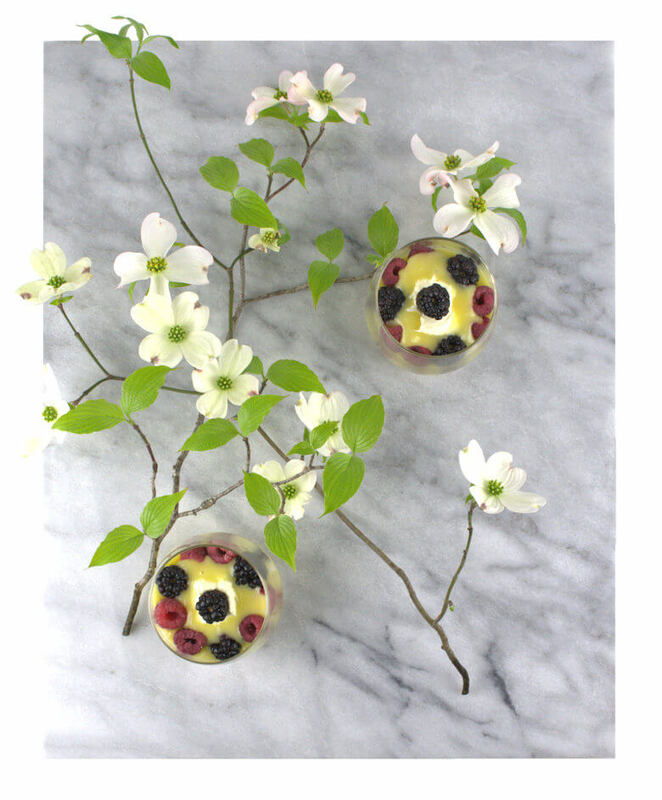 Today the yearly Dogwood Festival in Atlanta started; a celebration in honor of the Dogwood. 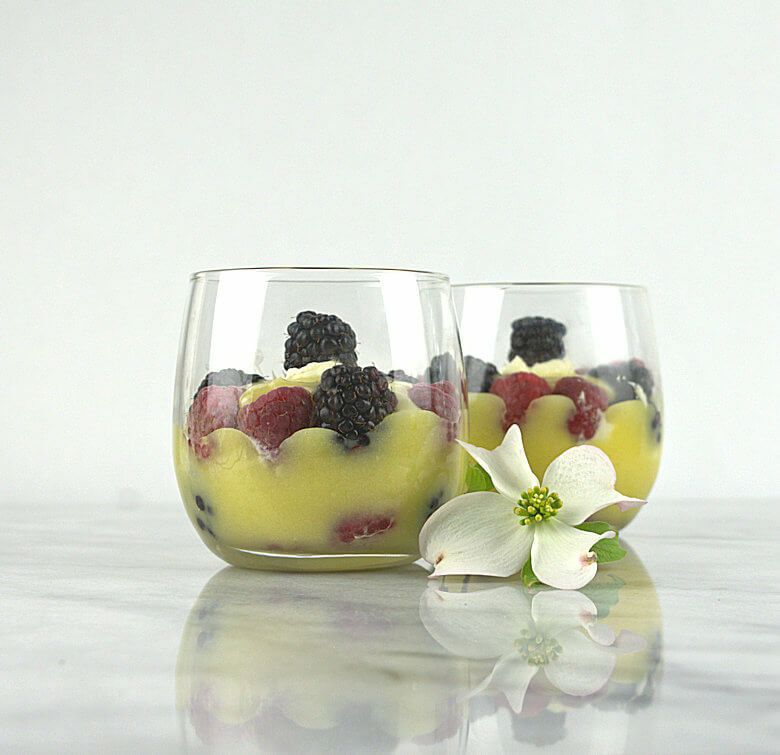 Let’s finish our Lemon Curd Dessert with Berries. Once the lemon curd is cold you can make up your own dessert. I have layered raspberries and blackberries, then lemon curd, then mascarpone, and repeat until you run out of ingredients. It goes without saying that you can use any berry you like and you can use whipped cream instead of mascarpone. The combination of the richness of the mascarpone or cream, the zesty lemon and the crunchy berries is very pleasant and rewarding. You have a lot of flavors and different consistencies in your mouth. Note. This recipe makes about 2 cups of lemon curd. That is double the amount needed for Lemon Curd Dessert with Berries. Luckily lemon curd freezes well, up to 2 months. In a bowl, beat the butter, sugar and lemon zest with a mixer for about 2 minutes. Add the 3 eggs, one by one and the lemon juice and mix again. You'll have a mixture that looks curdled. Transfer mixture to a heavy bottomed saucepan and cook the mixture over low-medium heat. The mixture becomes smooth. Do not allow to boil and stir constantly.This will take about 15 minutes. The mixture thickens and would leave a path on the back of a spoon. Transfer the curd into a jar or glass bowl and cover with plastic wrap. Press the plastic wrap onto the surface of the lemon curd to prevent a skim from forming. Cool to room temperature and place bowl in the refrigerator. The curd will thicken further. Only half of the recipe for the curd is needed for this dessert for two. You can keep the remaining curd in the fridge for 1-2 weeks, or in the freezer for 2 months. Make 2 desserts, by dividing berries, mascarpone and lemon curd in each 4 portions and start layering. Berries, lemon curd, mascarpone, berries, lemon curd and mascarpone. End with a berry of your choice. Only half of the recipe for the curd is needed for this dessert for two. You can keep the remaining lemon curd in the fridge for 1-2 weeks, or in the freezer for 2 months.